Dr. Thomas Gill, a board certified orthopedic surgeon, is the team physician for the Boston Cannons. In addition to treating Sports Medicine injuries, Dr. Gill specializes in ACL surgery/knee arthroscopy, Rotator Cuff surgery and Labral repair surgery. Dr. Gill completed a fellowship in Reconstructive Surgery in Bern, Switzerland, and one in Sports Medicine and Shoulder Surgery at the Steadman-Hawkins Clinic, Vail, CO. He received his medical education at Harvard Medical School and has authored more than 160 scientific articles and chapters on issues involving the knee and shoulder, and has written books on Complications of Shoulder Surgery and Techniques of Knee Arthroscopy. Dr. Gill has served as Medical Director for the Boston Red Sox, Head Team Physician for the New England Patriots, and Team Physician for the Boston Bruins. He is a fellow of the American Association of Orthopedic Surgeons; a member of the American Orthopedic Society for Sports Medicine; former member of the Team Physician Societies of Major League Baseball, the National Football League, and the National Hockey League; and was elected to the Herodicus Society (National Honor Society for Sports Medicine) and the American Orthopedic Association. Fellowship trained in Primary Care Sports Medicine, Dr. Luz takes a non-surgical approach to the treatment of musculoskeletal sports conditions. She focuses on treating the whole patient to prevent injury, improve performance and enhance overall health for child and adult athletes of all skill levels. Dr. Luz specializes in ultrasound-guided diagnostics, utilizing in-office imaging to diagnose a variety of joint, muscle, ligament, and tendon injuries and also specializes in ultrasound-guided procedures to treat these conditions. A graduate of Tufts University School of Medicine, she completed her residency training at Spaulding Rehabilitation Hospital Harvard Medical School PM&R program, and fellowship at Boston Children’s Hospital Harvard Medical School Sports Medicine program. She is a Clinical Instructor of Orthopedics at Tufts University School of Medicine and is Assistant Team Physician for the Boston Ballet, Boston Breakers, and Boston Cannons. Dr. Luz is a member of the American College of Sports Medicine, American Medical Society of Sports Medicine, American Institute of Ultrasound in Medicine. 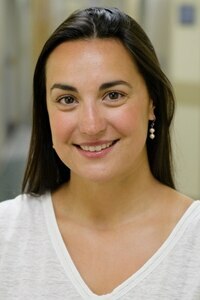 Dr. Janine Pardo is a Board Certified Internist and Primary Care Physician. She is the Medical Director of Steward Medical Group – Weston Internal Medicine and Wellness Center located in Weston, MA. She is also the medical team physician for the Boston Breakers professional women’s soccer team, in addition to the Boston Cannons. Dr. Pardo graduated with honors from Princeton University, and went on to attend the University of Louisville School of Medicine. She completed her residency in New York City at St. Luke’s Roosevelt Hospital Center – a teaching hospital of Columbia University’s College of Physicians and Surgeons. She remained in New York to practice Medicine at one of Manhattan’s largest and most highly regarded multispecialty offices, until she and her family relocated to the Boston area. At her current practice Dr. Pardo provides cutting-edge, personalized primary care by working with individuals to customize treatment and prevention plans based on each patient’s unique characteristics, personal history, and family background. Dr. Pardo is a wellness expert with significant expertise in nutrition, stress management, meditation, exercise counseling, yoga, sleep management, cancer risk modification, cardiovascular disease prevention, and preventive medicine. She applies this knowledge to advocate a comprehensive approach to patient care focused on total mental and physical well-being including emphasis on lifestyle modifications. Dr. Zubiel received her BS in Kinesiology from the University of Massachusetts at Amherst and her Doctorate of Chiropractic (DC) and MS in Human Anatomy & Physiology Instruction from New York Chiropractic College. Her post-doctoral training includes certification as a Chiropractic Sports Physician (CCSP), which allows her to understand the demands of the professional and collegiate athlete as well as the weekend warrior. She has been with the Boston Cannons since 2012, and in addition to advancing her passion and proficiency of sports medicine through working with local professional and collegiate athletes within her private practice, she has served as the team chiropractor for the Boston Renegades (Women’s Professional Football), Harvard University Track & Field, and Lesley University Sports Medicine. Dr. Zubiel utilizes a functional, joint-by-joint approach while treating her patients, focusing on deep myofascial release of the kinetic chain, dynamic stretching, and functional medicine and rehabilitation. She is an Active Release Technique® (ART) and Graston Technique® provider, a kinesiology taping practitioner, and holds an advanced certification of competency in whole food nutrition. Dr. Zubiel is continually expanding on her education and techniques in order to provide her patients with the most current, evidenced-led and comprehensive care possible. She is a strong advocate of leading a healthy lifestyle through primal nutrition and keeps active with an intensive yoga practice. She currently practices and resides in Boston, Massachusetts. Brian Petrone attended Springfield College where he received his physician assistant degree. Brian has served as the physician assistant for the New England Patriots. He has also worked with the Boston Bruins. Brian Petrone is a nationally registered paramedic and remains an active lecturer for physician assistant and paramedic programs. Brian continues to work with local teams in developing emergency management training. He currently coaches lacrosse, and still plays in a local men's league. The 2016 season marks Jason Byrne’s 5th year in Sports Medicine in the MLL. In January 2016, he was promoted to Head Athletic Trainer of the Boston Cannons, after serving as Assistant Athletic Trainer for the previous 3 years. He began his tenure in the league with the Chesapeake Bayhawks during the team’s 2012 Championship season. Jason also works as Assistant Athletic Trainer at Brandeis University in Waltham MA. He attended undergraduate school at Quinnipiac University in Hamden CT and Graduate School at Towson University in Towson MD. 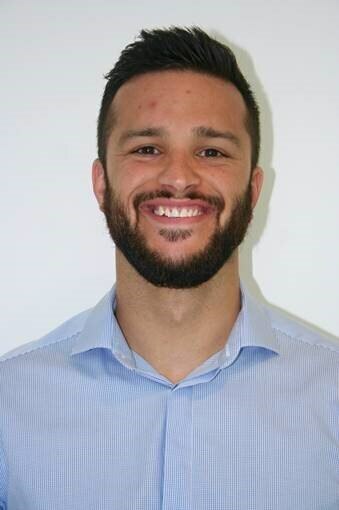 He has worked as a part of Sports Medicine programs for Johns Hopkins University, University of Tennessee Football, Yale University Football and numerous Quinnipiac University sports during his undergraduate clinical assignments. Julie Nicoletti, Certified Sports Nutritionist, B.S., R.Ph. Julie Nicoletti is a nationally recognized sports nutritionist who specializes in coaching student, adult, and professional athletes to achieve their highest potential—both on and off the field. Julie has been the Cannons Sports Nutritionist since 2012 providing education to the team as well as one on one, personalized nutritional education and counseling to players, enabling them to optimize peak performance while minimizing the risk of injury and counsel to the Cannons staff regarding team meals and stocking the bus for away games. Combining her professional training as a registered pharmacist with her experience as a certified sports nutritionist, Julie founded Kinetic Fuel in 2008 and has had the pleasure of working with athletes who have achieved the highest honors in their sports from Olympians to Heisman Trophy Winners and #1 NFL Draft picks. Julie’s Westwood, MA office is home base, but she frequently travels to speak to teams or at camps or to work with players around the country.